It’s rare that design or the arts are singled out for recognition on a national level. The U.S. 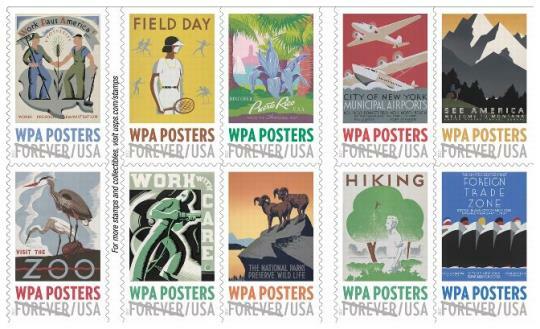 Postal Service is one government agency that does ‘break the mold’ and has just released a series of Forever Stamps celebrating the posters of the Work Projects Administration and Franklin D. Roosevelt’s New Deal Program from 1933 – 1942. 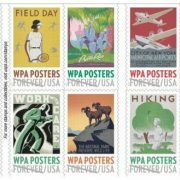 Featuring 20 stamps of 10 different designs, each stamp features a vibrant example of the posters conceived and printed in workshops across the nation under the WPA, a broad-reaching program that provided millions of jobs during the Great Depression. The poster images are from Library of Congress, Prints and Photographs Division, WPA Poster Collection. While the majority of funding went into public works projects to improve our infrastructure, FDR also realized that artists and designers suffered from the economic effects of the depression and set aside funding that would employ them as well. In the Bay Area, we still benefit from the local WPA projects both in the quality of our own lives and in the tourist revenue they bring to the area annually. One of the less known facts is that San Francisco was one of 35 cities in the U.S. to have a print workshop producing WPA posters. It opened in late 1935 and was managed byRay Bertrand, one of the Coit Tower muralists who also had previous experience in lithography. Pairing unemployed commercial printers with local artists, the Bay Area shop designed and printed hundreds of limited-edition prints and posters during its eight years of operation. They were widely shown in schools, libraries, community art centers, public museums and other tax-supported institutions. 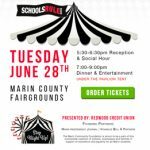 This article in SFGate features a few examples of posters designed and printed locally. 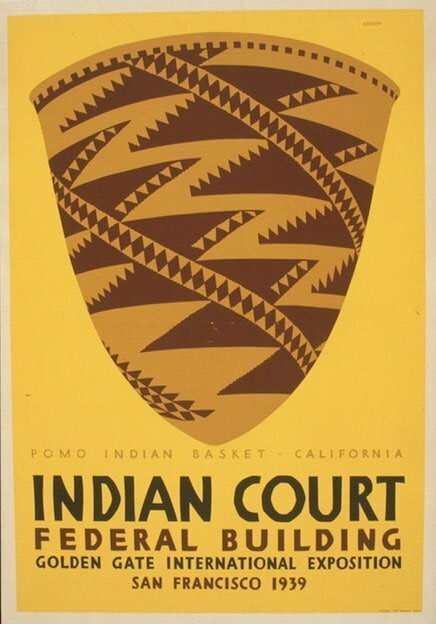 There were WPA poster divisions in both San Francisco and Los Angelas. Often times the exact location is not reported and it is even more rare to find the artist identified. Aside from poster arts, the New Deal provided a number of jobs beautifying public spaces for Bay Area artists and artisans. Many of them have been preserved and we still enjoy the artistry today. 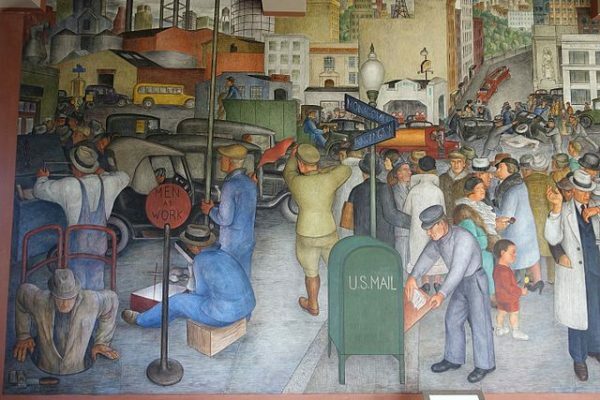 Murals at Coit Tower, the Rincon Annex Post Office, Beach Chalet, National Maritime Museum and the San Francisco Zoo were all funded through this program. Bay Area locals can treat themselves to a WPA arts outing. For those of you outside of the Bay Area KQED, our local Public Television provider has a great interactive feature on the New Deal in the Bay Area. Enjoy a little armchair travel! To learn more about how the new deal literally shaped the Bay Area, enjoy this article by local historian Gray Brechin. He cites a number of our local treasures created by landscape architects, and that are a direct result of the New Deal.